Free Video Flip and Rotate. 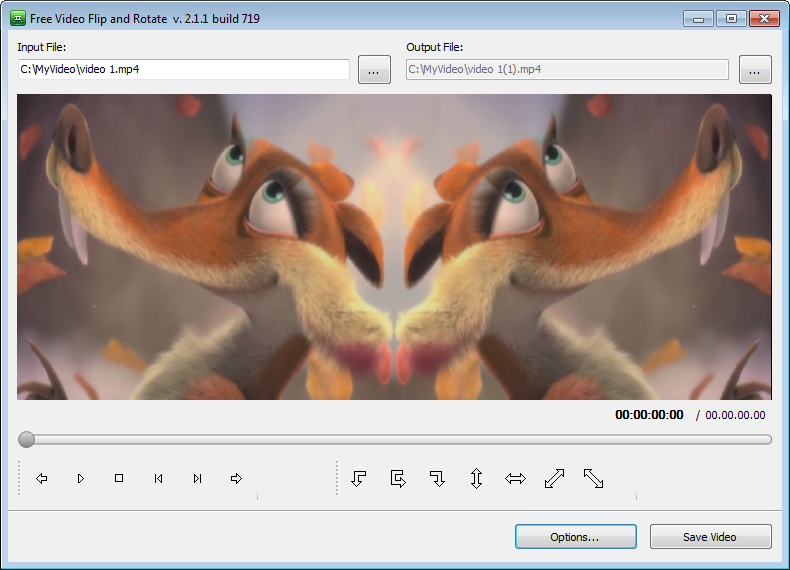 Rotate video or flip video with one mouse click. 7 available options: rotate video 90° CCW; rotate video 180°; rotate video 90° CW; flip video vertically; flip video horizontally; flip video vertically and rotate 90° CCW; flip video vertically and rotate 90° CW.